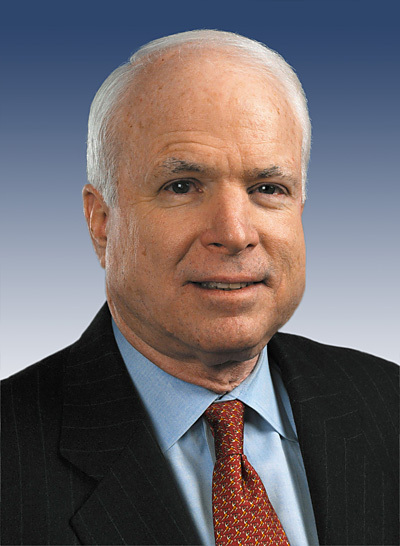 John McCain is an American war hero who marches to his own drumbeat, clearly puts his country ahead of himself, loves his country as it is, values its constitution, favors free enterprise as the preferred economic model, and offers excellent attributes for understanding and running our nation. A few days ago, Charlie Rose and Tom Brokaw were discussing the election on Rose’s television show. They were both saying how little either of them knew about Barack Obama … how little either of them knew about how he would likely react to the potential, and real, crises facing our country. Can you imagine that? Here were two top journalists, time tested and respected by the industry in which they toil, and they have the nerve to say how little they know of the person who may become the next President of the United States. What the hell have they and their staffs been doing for the last two years? In fact, where has the entire media been excluding Fox News and Talk Radio? Why haven’t journalists been acting as journalists instead of cheerleaders for Obama? Journalists are supposed to help us understand where the candidates stand … what makes them tick … who influences their decisions … who helps them formulate their ideas and visions for America. According to the Rose/Brokaw exchange the media has failed big time and they made their profession a mockery. So what do we know about Obama? We know he worked as a community organizer and aided, represented and gave training sessions to the group ACORN which is now involved in voter fraud cases throughout the country, having illegally signed up over 400,000 people to vote who are ineligible. His campaign also donated $800,000 to an ACORN affiliate. Coincidence or sinister? You decide. We know that he attended with his wife and children the church where Reverend Jeremiah Wright was pastor, for over 20 years. Now anyone who believes that the Obama clan had no idea of Reverend Wright’s racism, anti-Americanism and Black liberation theology must be the dumbest people on the planet. Remember how Obama said he couldn’t reject Wright, before the pressure became so intense that he did just that. Or did he really? You decide. Just what does Obama have in common with William Ayers, a leader of the Weather Underground Organization, a domestic terrorist group responsible for bombing the Capitol, the Pentagon, banks and police stations and killing innocent people. Ayers is still proud of what he and his group did and remains unrepentant. Obama is apparently still proud of Ayers since he has yet to denounce Ayers’ actions. What we deserve to know is why Obama originally sought out Ayers. When Obama kicked off his run for the Illinois Senate in Ayers’ living room in 1995 just how friendly were they? Or was Ayers “just a guy from my neighborhood” as Obama claimed? How similar are their views of America? Ayers still apparently works to bring down American capitalism. Does Obama’s ideas of redistributing wealth fit into Ayers’ scenario? Inquiring minds want to know! Obama has told us that he wants to change America. Listen to what he means by this. He wants to change our constitution and mold its very specific meaning into his own vision. A President of the United States is charged with upholding the constitution… not changing it. Obama wants to “spread the wealth around”. This means changing our capitalist system which rewards hard work, innovation and entrepreneurship into a socialist America which can take the money you earn and give it away to someone who “needs” it. When he talks about a tax cut for 95% of Americans how does that fly with the fact that approximately 43 million Americans who file tax returns pay no tax to begin with? This is just another flim flam method of providing a handout to these non taxpayers. Where do you suppose the money to do that is coming from? Right out of your own pockets. In addition, it is interesting that in the past week Obama’s definition of “rich” and the threshold below which people would have no tax increases has been lowered from $250,000 to $200,000 to $150,000 and now seemingly to $125,000. Is Obama trying to deceive us or is this a form of limbo economics that we should all get used to if he is elected? A really frightening thought has been brought to us from Obama’s vice presidential choice, Joe Biden. This foreign relations guru promised that if Obama is elected, within his first six months as President he would be tested with one or more major crises or terror related events. Remarkably, he then went on to say that the American people should be patient with how Obama handles these crises as they may not agree with him. Believe me, McCain will not be tested in such a manner nor will the American people have to be patient with his response. What will happen with the enormous strides made to stabilize Iraq? McCain, who pushed for the surge policy, which is working, wants to leave Iraq in the strongest possible position to keep that country safe and secure. Obama leaves no doubt that he wants out of there quickly. Harry Reid, the democrat Senate Majority Leader, who waved the white flag of surrender before and during the surge, offers no comfort to our army or the Iraqi government in his reckless attempts to flee Iraq. Nancy Pelosi, democrat Speaker of the House, who never met a non-binding resolution to knock our military that she didn’t like, is salivating at finally being able to accomplish her desired retreat from Iraq. If, heaven forbid, these three are charting the course of America, this country will surely change from being a world leader to a slave to the wishes of the United Nations and the world community. A word must be said about the current economic crisis which concerns us all and surprisingly seems to have given Obama an edge over McCain. How could that be? There is a big lie perpetrated that President Bush and the republicans are solely responsible for this economic fiasco. Did the media forget that when Clinton was President, his top housing official, Henry Cisneros, loosened mortgage restrictions so first-time buyers could qualify for loans they could never get before. This enabled a huge number of families to buy a home without collateral, with little or no money down and low paying or no paying jobs. Under Clinton’s watch the US Department of Housing & Urban Development required Fannie Mae and Freddie Mac to provide an ever increasing percentage of their portfolios to “special affordable” loans. Then to add insult to injury Christopher Dodd, Chairman of the Senate Committee on Banking and Barney Frank, Chairman of the House Financial Services Committee which were supposed to oversee situations such as this, turned a blind eye and a deaf ear to President Bush’s pleas to end these unsafe practices and to pleas by Ron Paul and John McCain to act more responsibly. It was these bogus loans that fostered this crisis and while there is enough blame to go around, the real scoundrels are the democrats not the republicans. At a committee meeting in 2003, Barney Frank explicitly stated that Fannie and Freddie’s government privileges were conditional on their willingness “to make housing more affordable”. Dodd, Frank, the former head of Fannie Mae & Freddie Mac should be investigated and if proven negligent, jailed for the fraud they perpetrated. It may also come as little surprise that massive financial contributions were made by these very lending institutions to the troika of Dodd, Frank and Obama. On the questions of how each candidate will treat Israel, deal with Iran and approach terrorists in the region such as Hamas and Hezbollah we see differences here as well. Obama would be more apt to seek discussions with Iran and terror groups without preconditions. It is unknown but seems unlikely that he would use force to eliminate Iran’s chance to acquire a nuclear capability. It is also uncertain how he would react to Israel if that country conducted a preemptive strike against Iran’s nuclear program, considering that Iran is a country that has threatened Israel with extinction. We feel more at ease with McCain in these situations than Obama who terror groups prefer as the next president. There is the additional confusion of just how close and how much Obama relies on Rashid Khalidi, a college professor and a long time advocate for radical Palestinians. Kahlidi has expressed vocal support for suicide bombings against Israel as well as calling Israel a racist country with an apartheid system. There have been calls for the Los Angeles Times to release a video tape with Obama and Khalidi at a party in 2003 marking Kahlidi’s leaving Chicago University to take a position at Columbia. In order to better understand the connection between these two gentleman there have been calls for this tape to be released. If Obama has nothing to hide then why not let the voters hear his own words and decide for themselves if there is any cause for concern? How will Obama deal with the issue of freedom of the press? Is the fact that he kicked off his campaign plane the New York Post, Washington Times and Dallas Morning News [all of whom editorially endorsed McCain] a warning to all media not to cross Obama? By the way, who were these large circulation daily newspapers replaced with for the final days of the campaign? The Black audience monthly magazines Essence and Jet. Is this Obama’s real definition of how he intends to get along with those of opposing views in Washington? And is this just Obama’s first warning to Talk Radio that he will try to silence his critics by passing the “Fairness Doctrine” which will limit their ability to inform the public as they do today? For those of you who are unaware of the “Fairness Doctrine”, it applies only to radio stations and calls for them to provide equal time to differing sides of political issues. It does not apply to print media or television stations and is a grave threat to our basic liberties. We have all been told how significant this election is for the future of our country. Your choice will be an important one. Our choice is clear. We choose not to see our country lose what made us great. … our constitution, our economic system, our rewarding excellence, and our defending freedom and liberty both at home and around the world. We choose a man who personifies honesty, integrity and forthrightness with the American people. We choose John McCain and urge you to do likewise.